Christmas 2016 News Update – TowersStreet - Your premier Alton Towers guide! As Christmas and the end of 2016 approaches we have bits of news to bring you from across the Alton Towers Resort. In particular there appear to be various changes regarding the resort hotels. The hotels have hosted themed weekends throughout the closed season for many years however this closed season sees some changes. The Beach Party and Pirate themed weekends that usually take place in January are not going ahead but there will be an already sold out Fit JAM Weekend on Friday 20th – Sunday 22nd January. Sea & Splash Weekends are new this closed season and are set to take place over 27th – 28th January and 3rd – 4th February, featuring marine inspired art and crafts and visits to Sharkbait Reef in the theme park. February Half Term (11th – 26th February) sees the arrival of a Pirate and Princess Week with packages available that include waterpark access, Extraordinary Golf and outdoor den building. 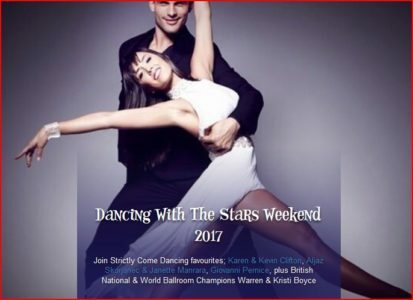 Then from Friday 3rd to Sunday 5th of March the popular Dancing with the Stars Weekend returns! There are numerous signs that Splash Landings Hotel may be closed from January until late May 2017. 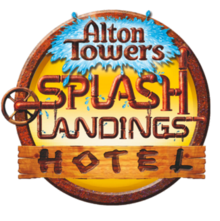 The hotel cannot be booked online until Saturday 27th May with the Alton Towers Hotel and Enchanted Village as the only options. Flambo’s Exotic Feast is also unavailable to book during this time whereas all other resort restaurants can be reserved. 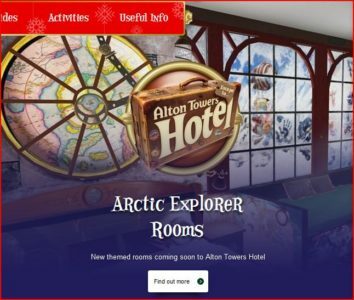 Alton Towers’ website has confirmed that Arctic Explorer themed rooms are coming to the Alton Towers Hotel in 2017. Not many details are known right now however it is thought that they will be similar to the existing Moon Voyager themed rooms but with an Arctic theme. Finally all of us here at TowersStreet would like to wish you a very Merry Christmas! Thank you to everyone who has followed or contributed to the site or our social media pages and read or posted on our forums throughout 2016. And of course thanks to all who have joined us on various meetups over the last season, we hope to see you all again in 2017 (or sooner for those attending our upcoming International Meet at Europa-Park)! We’ll be sure to keep you updated with all the goings on at Alton Towers over the course of 2017 including the opening of the new CBeebies Land rides and Hotel and construction of SW8. Follow us on Facebook or Twitter for all of the latest new and remember that you can discuss all of the above and much more over on our Talk Forums.